Regional Administrative Court has lifted the ban declared on November 2017 by Ankara Governorate relying on state of emergency law. Kaos GL Trade Union Group, Education Study Groups and Eğitim-Sen LGBTI+ Commission held a meeting in Izmir. Pro-government NGO KADEM targeted Istanbul Medical Chamber’s events. 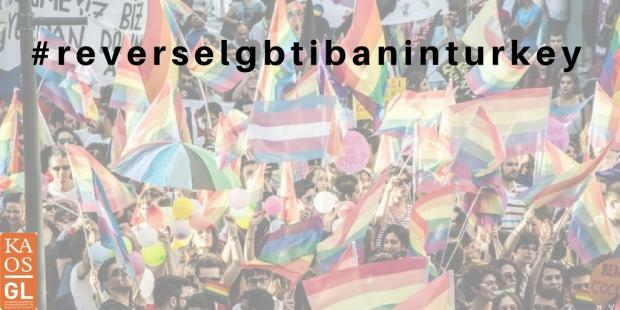 Izmir Bar Association: We will fight against LGBTI+ bans! What is the impact of multi-discrimination on legal procedures? We need laws for equality! What and how we can demand from local governments? Activism School on Local Governments has started today! Registrations for Gender and Law Conference has just started! A new ban from Ankara Governorship on LGBTI events!